SOC Offshore, a division of Shipper Owned Container, produces our own line of high-quality DNV 2.7-1 offshore containers from our Houston headquarters available to clients throughout the U.S. Our containers have been certified and tested to meet the DNV 2.7-1 standard. Each container is constructed of solid steel and built to weigh more than comparably sized containers, in order to withstand transit through rough seas. SOC Offshore offers a full line of DNV 2.7-1 offshore containers in Houston, including dry containers, open top containers, refrigerated containers, half height baskets, cargo baskets, bottle rack containers, lifting frames, and mud/trash skips. Our Houston DNV 2.7-1 offshore containers can also be made in your choice of company colors or fully hot dipped galvanized. 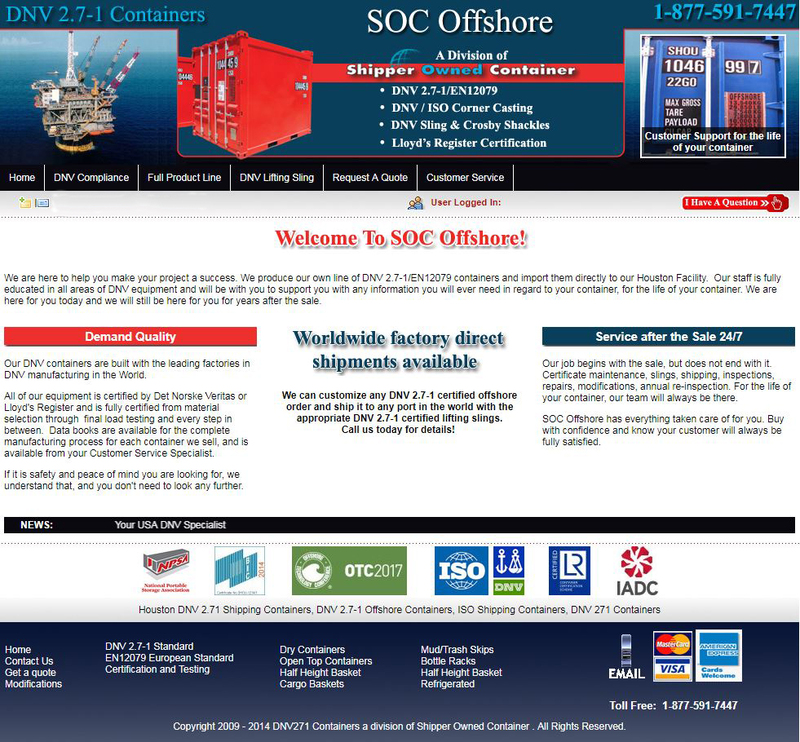 Explore SOC OFFSHORE for more details.